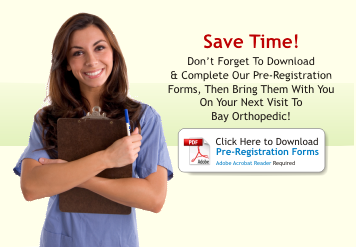 BAY ORTHOPEDIC & REHABILITATION SUPPLY CO. , INC. - Welcome to Bay Orthopedic & Rahabilitation Supply Co.
Bay Orthopedic is a family owned practice with three convenient locations. It was established in 1975. Our Professional staff has over 200 years of combined Orthotic and Prosthetic experience. We excel in all areas of O&P care from Pediatric to Geriatric. Michael Mangino- Owner | Carol Mangino- Owner | Vincent Beauman, C.O. | Brad Smith, C.O. Brad Anthony, C.P.O | Lou McCabe, C.P.O. | Ken Radner, C.P.O. | Glenn Paul C. P. O.